Individuals with electrical skills are needed to fill a wide range of green constructions jobs today–from renewable energy installations to building management projects. To capitalize on the green construction opportunity, individuals in the electrical trade will need a to obtain a green skill set. Below, I’ll break down a few of the jobs–and corresponding skills–that electricians need to fill secure a job as green construction expands. While there are multiple types of renewable energy projects underway, electricians are well-positioned to fill jobs in solar photovoltaic (PV) and wind turbine installations. To fill these positions, electricians will need to following skills. Solar PV – Naturally, these projects require a deep understanding of photovoltaic materials, equipment and codes–particularly article 690 of the electrical code which gives safety standards for dealing with photovoltaics. In addition to these skills, electricians need to know how to reconfigure panels while maintaining proper wiring. 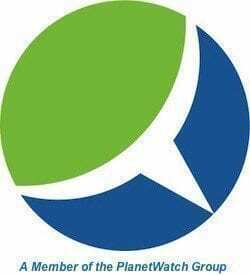 The North American Board of Certified Energy Practitioners’ provides detailed skills information on their site. 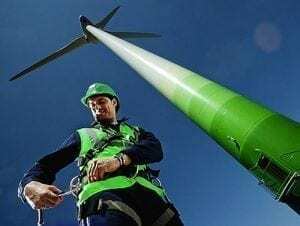 Wind Turbine – Wind turbines require electricians that are capable of working at high altitudes and understand how to distribute power from low, medium and high voltages. Beyond these skills, electricians working on these projects need knowledge of hydraulics, torquing and gearing to properly set up the turbines to capture the maximum amount of energy. A complementary set of skills in high demand is around the field of energy management. These projects are based on making an existing building more efficient or creating an energy-efficient building for the onset. These projects require a slightly different skill set. Energy Auditing – Energy auditors need strong analytical abilities as well as an understanding of how lighting and HVAC impact overall energy consumption. Additionally, it’s important to have an understanding of how to integrate electrical systems with communications systems. Familiarity with Building Management Systems (BMS) – This role is dictated by a knowledge of computer systems such as programmable logic controls and motion-activated sensors. This means that electricians in these roles will need to know how to configure computerized systems. Familiarity with LEED – The National Electrical Contractors Association (NECA) estimates that up to 40 percent of LEED certification is done by an electrical contractor. In addition to knowing LEED standards, these individuals need to know how to accrue (and track) LEED credits and coordinate renewable energy installations with energy management projects. The US Green Building Council publishes a comprehensive set of LEED certification information that can get electricians started on this path. This is just a sampling of the types of green jobs that electricians can move to take advantage of. As the green construction market grows, more and more types of jobs will surely surface. Until then, what skills would you recommend electricians obtain to land a job in green construction? If you have any other ideas, I invited to leave them in comments section below. When you mentioned that electricians can help not only install and maintain both solar panel systems and wind systems, it also reminded me that they can help with maintaining dams as well. I now understand that putting trusted, certified, and expert electricians can help communities achieve a lower carbon footprint. Not only that, but they can also save up on electricity costs that they can use to build more homes, better businesses, and rebuild the country’s economy in the long run.